The ‘C Word’ – it comes around every year on the same day so it should be easy to plan for right? Yet it seems that for many, that the role of organising the corporate Christmas party is a thankless task and a poisoned chalice. There’s so much pressure on getting it right and pleasing everyone. How do you better last years and where on earth do you start? All of this stress and worry on top of doing your day job at one of the busiest times of year. DON’T PANIC help is at hand! 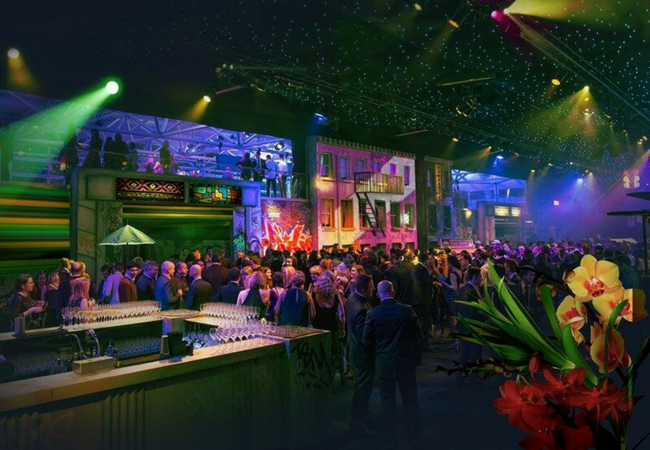 Here at Apollo, Christmas is one of our favourite times of year and we are literally inundated with 100’s of venues marketing their own Christmas party packages to us, ranging from dinners of 10 to parties for 1000 guests, in venues based all over the country. Being totally independent, it’s our job to sift through them all and decide on those that will best fit your requirements. We will meet with you to discuss your brief, accompany you on site visits and tastings and be involved with all negotiations with suppliers. Possibly the most important decision to make is finding the right venue in the right location. No one wants a long journey to a boring venue. Add to that the fear of losing guests along the way who might decide to stop off at the local pub beforehand! 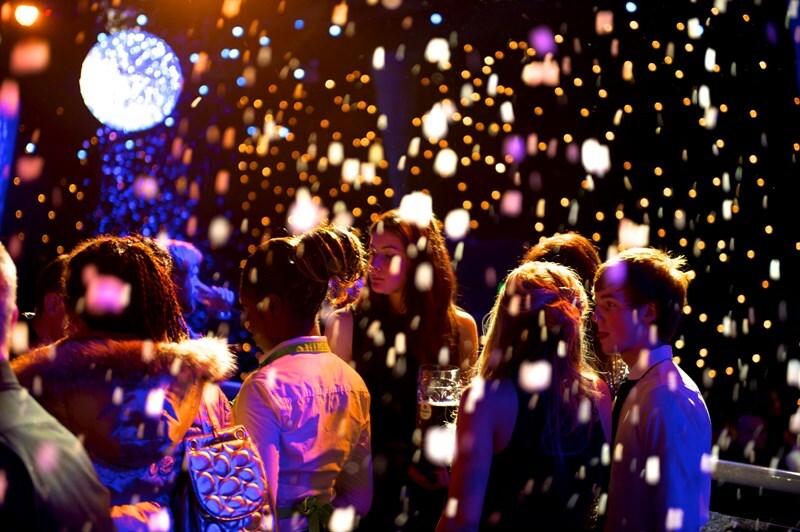 We have exclusive access to all Christmas parties in and around London so will help guide you through the venue minefield. Perhaps you work in a great space or unique building that could be easily turned into a party location? With a little bit of planning we could come in and turn your office into an amazing party venue. 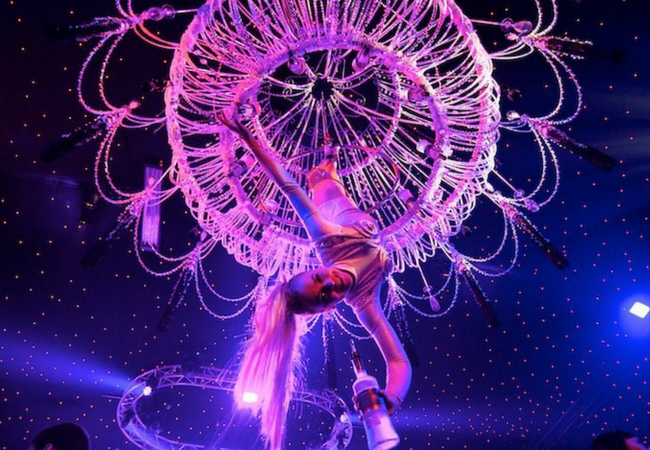 It may be that your company has a reputation for throwing fabulous, different themed parties each year which can put pressure on you to get it spot on. If you’re looking at a party package with a theme you’ve already done before then don’t be afraid to be a bit creative and turn it something fun that works for you. It you’ve done 007/Bond then why not turn in to a tropical paradise, or your own little bit of summer in December. 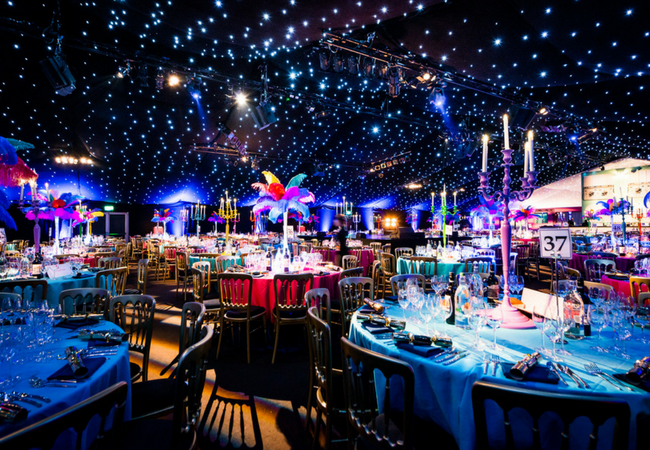 Most venues will adapt a theme to help secure your business. Designing beautiful, innovative and creative themed parties is what we do best, so whether you’re opting for a themed party package or something totally bespoke, we’re well placed to offer valuable advice. The size of your budget will have a huge impact on your choice of venue, catering and amount of Christmas spirit flowing! Be warned, when it comes to Christmas party packages, the phrase “you get what you pay for” is usually the case. Don’t be misled when you’re told prices start at £35 a head! This is usually for a very basic 3 course dinner with all extras added on. Once you’ve totted up all of the additions, you might want to go for something a little more expensive with everything included. This is where we can discuss your budget and your party priorities and help guide you through the realm of ‘off the shelf’ party packages vs doing something totally bespoke. It might be worth considering ‘a stand up and shout’ format, instead of a seated dinner – keeps the party more fluid and gets the party going from outset. Pick a day earlier in the week as you’re more likely to get a good deal on Monday or Tuesday than later in the week. As well as being better value, you’ll get to see your colleagues in the office the next day for the post party debrief – often the best part of the process! This is when the budget doesn’t really come into it and the sort of party that we love creating and planning. We will tailor make a party to your exact requirements. 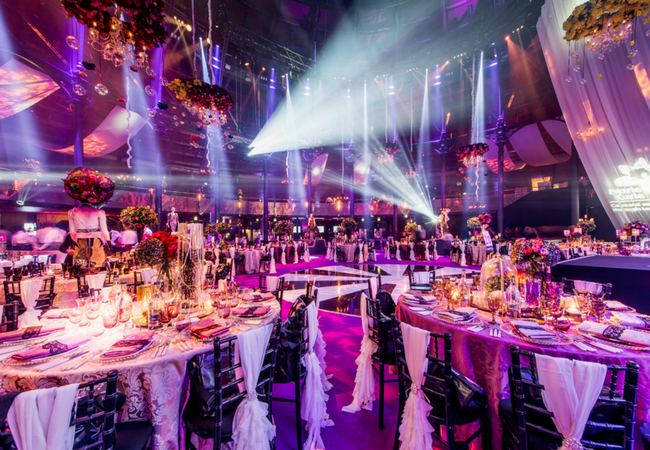 We will work with you to find a venue, the right caterers, come up with theming ideas and suggest bands and alternative forms of entertainment to makes sure you get the wow factor. The process can take a little longer, so be prepared to start the process as soon as you can. It might also be worth looking into having it in January, as this is a quiet time, suppliers are keen for the business and everyone is in need of something to look forward to. 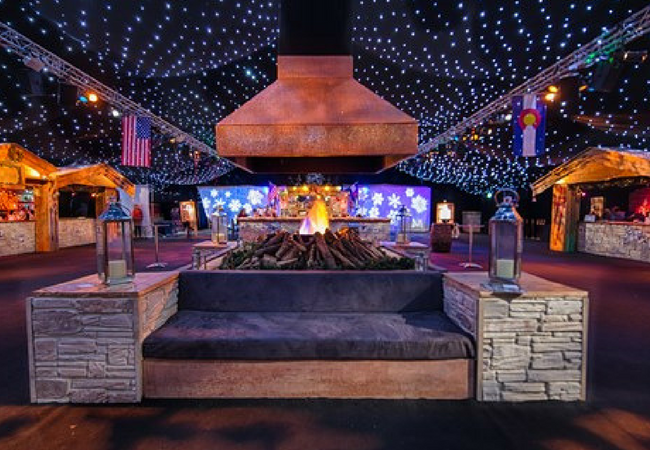 We have organised countless magical Christmas parties over the years and know exactly what works best. But one thing that you should always remember is that you’ll never please everyone… it’s the Christmas party after all!